Mediators do not make judgments or take sides. They ask questions that help to uncover underlying problems. They help families to explore all potential options to reach an acceptable resolution. The mediator’s primary role is to remain impartial and to make sure the process of mediation is maintained to best facilitate parties reaching their own agreement. For the quieter family member, it will ensure their voice is heard. For the stronger personality, they have an opportunity to learn what is really going on for those around them and the effect of their behaviour. For those fearful of conflict, mediation provides a safe place for conflicts to be explored and resolved in a respectful manner. For the aggrieved, a perceived slight in the past may make it difficult for them to engage with their family or in-laws in a meaningful way. Mediation creates an environment and structure for such communication blocks to be addressed and overcome. For those who feel they are burdened with all of the decisions, mediation provides a space where this can be addressed. Equally, where a family member feels left out, mediation provides a respectful environment where this can be explored. For a family in conflict over an estate, litigation can have devastating effects on the value of the estate. Mediation can help address the underlying sources of conflict and avoid costly litigation. A mediator can be engaged immediately rather than waiting months or years in a litigation process. Mediators are impartial and do not make judgements or give advice. 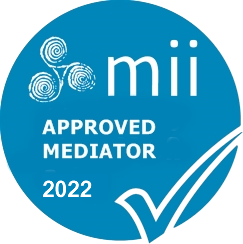 A family in mediation create and own their own agreement, rather than having the terms of how they should interact in the future decided by a Judge. If you choose binding mediation, you will have a similar finality as binding arbitration or litigation offers without as many formalities or costs. Mediators are generally well-versed in the issues that are in dispute and can assist the parties in the reality of their opinions and positions. It is either communication or conflict – which do you want?